The Crystal Layout workshop will show you how you can use crystals to enhance your meditative state, receive messages and healing. 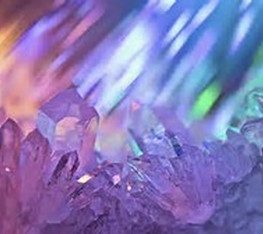 Laying crystals around your body keeps you in a deep, relaxing, theta brainwave state which helps uncover and release the origin of phobias and fears and the accompanying disfunctional characteristics they foster. Many use Crystal Layouts to travel into past lives, future lives, or to speak with their angels, Council of Twelve or Soul Family. Valuable information can be received more clearly with the help of a crystal layout. This practice will teach your body to ease into and stay in a deep Theta wave state which is essential for mind-body healing and guidance. Crystals have many amazing properties which have been known for centuries and recently been scientifically demonstrated. A crystal grid is created by forming a network of crystals placed around the body and on the body’s chakras. The advantage of using crystals is that they help you hold this Theta brainwave state for longer periods of time which make it much easier to gain clarity as well as relax and observe the body-mind. We are affected by past choices and events that appear in this lifetime as patterns or incidences that feel impossible to resolve. A Crystal Viewing Layout can take you back to the very beginning of the pattern and resolve its echos in your life today. You may return with the knowledge, tangible skills and attributes that you acquired in other lives. All crystals needed for this workshop are provided. Christine Sonnen, ATP, CHMRP is the founder of Conscious Awakenings LLC providing energetic healing, energetic psychology, and intuitive development through private sessions, seminars, and certification training with CEU credit. Christine is an intuitive holistic practitioner and teacher with an international practice. 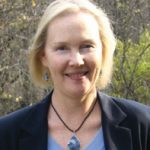 Christine brings training and experience in cutting edge healing techniques, intuitive development, and personal growth to her transformative workshops and sessions. She uses her background of over 20 years of holistic and metaphysic study and work as a Healing Intuitive, ThetaHealing® Master Teacher and Practitioner, Holographic Memory Resolution Practitioner, Reconnective Healing Practitioner, Spiritual Response Therapy Practitioner, and studies in Reiki, Channeling, Angel Therapy, and Spiritual Mentoring to bring in the optimal healing energy to your session. In sessions with Christine you can quickly release emotional trauma and physical blocks in your life – guiding you to raise your consciousness and change your life. You can immediately feel different and start getting more out of your life, your relationships and your career. Christine works with adults, children and businesses. Christine has also studied with Ron Roth, Bruce Lipton, Doreen Virtue, Sonia Choquette, and Dr Joe Dispenza. Christine’s workshops and practice have included therapists, health practitioners, energy workers, doctors, teachers, business owners, entrepreneurs and students from the U.S., Europe, Central America, Australia, and Canada.